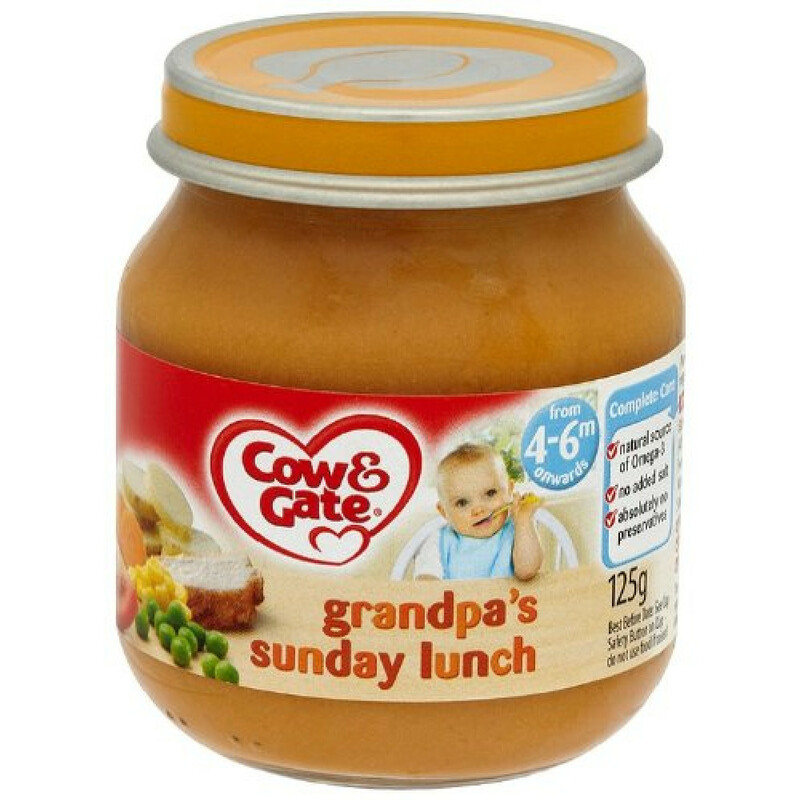 Cow & Gate Stage 1-Grandpa's Sunday Lunch Jar 4-6m is a tasty meal of vegetables and pureed chicken for babies aged between four to six months. The formulation contains no added salt, preservatives, eggs, milk, gluten or lactose and is made only from baby grade ingredients. Do not freeze the meal while storing in the refrigerator. Always read all instructions and product details carefully before use. Never use any metal spoon to stir the meal. Use the product within the best before date mentioned on the carton and do not buy in case the safety button on the cap is raised. Before using, always stir the meal with a plastic spoon. Scoop out the necessary portion into a clean bowl and serve to your baby. You may heat the meal before serving by letting the bowl stand in a hot water for a few minutes. You may also microwave it. Any unused meal left in the jar can be stored in the refrigerator for up to forty eight hours. Discard any leftover meal in the bowl once it has been heated. 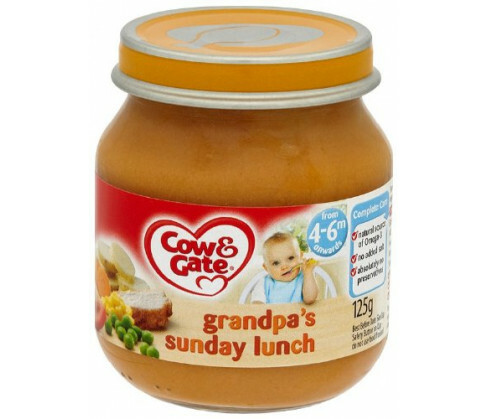 Cow & Gate Stage 1-Grandpas Sunday Lunch Jar 4-6m contains Baby-Grade Vegetables 42% (Carrot, Peas, Sweetcorn and Tomato), Chicken 10%, Potato, Cooking Water, Rapeseed Oil and Corn Starch.